Be the first to hear about their new releases and deals. Download the Booksprout app and search for Daniel J. O'Connor today! 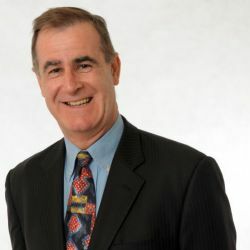 Daniel J. O’Connor is an intellectual property commercialisation specialist, a management consultant, a business coach, a company director, as well as a business growth expert and author. He is a member of the UN Taskforce for Innovation and Competitiveness and regularly contributes to international membership learning websites. Daniel has planned and managed public and private companies (listed and un-listed) throughout his career, with outstanding results. He has helped boost companies to success through his advice and mentoring in strategic management, acquisitions, performance management. He has experience and tools in business systems and process improvements, business and industry aggregations, public listings, business coaching and change management.